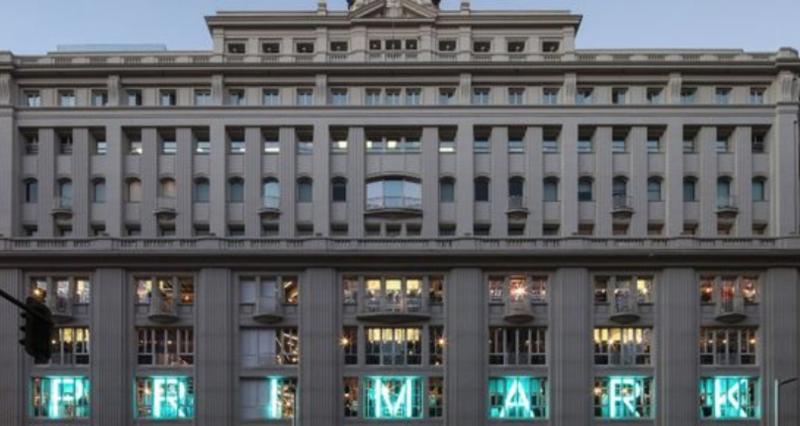 Breathing new life into a historic Madrid building, Dalziel & Pow’s flagship design for Primark fuses pioneering digital design with art installations to create an urban sanctuary for customers. 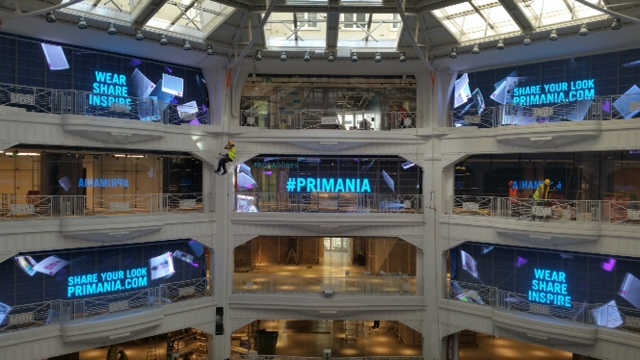 Transparent LED screens allow both product and architecture to be viewed through the digital displays for a multi-layered, 3D effect, while the content interacts dynamically with the surrounding architecture, as if the models are walking around the physical store. 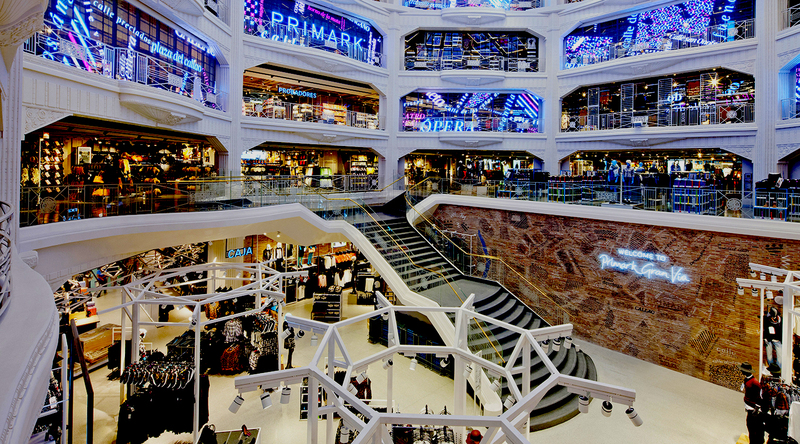 Never used before in a retail setting, the ambitious digital concept was developed in partnership with Technomedia and its parent, Mood Media.